You have influence. Join 445,000 of your peers to learn how to maximize it. The Global Leadership Summit is a two-day world-class leadership training infusion of VISION, INSPIRATION and PRACTICAL SKILLS you can immediately apply. Every year, the Summit is broadcast (HD telecast) from Willow Creek in Chicago to 600+ sites in 130 countries and 60 languages. You are invited to join an expected 445,000 people committed to getting better as leaders in 2018 as you discover best practices in leadership, integration of Christian values and principle based decision making. Leadership is a powerful thing. How are you stewarding yours? Your morning includes a world-class faculty addressing meaningful and practical topics – all before lunch! Leading with Relational Intelligence – Every great leader understands that relational intelligence is key to getting work done. 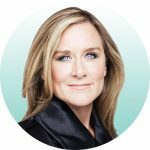 Apple’s Angela Ahrendts (Senior Vice President of Retail), who recently toured the world meeting Apple employees, will explain her conviction that empathy is an essential quality to great leadership. Identifying Future Opportunities – Strategic leaders are forward-thinking—intentionally identifying cultural trends and opportunities on their organizational horizon. 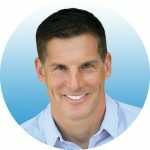 Craig Groeschel (Co-Founder & Senior Pastor, Life.Church) will teach us what it means to be a leader who prepares for the future instead of reacting to it. 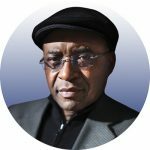 Strive Masiyiwa, (Founder & Chairman, Econet Group – one of Africa’s largest telecommunications companies), will help us learn what it means to be a leader who perseveres to fight for the future of our world. 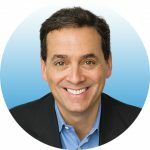 Daniel Pink (New York Times Best-selling Author) is one of the best-selling nonfiction authors of the last decade. His most recent book, When: The Scientific Secrets of Perfect Timing, has spent four months on The New York Times bestseller list. Want more? Register on-site for the full 2-day pass and stay for the rest.